House Speaker Paul Ryan of Wisconsin, speaks after House Republicans held a closed-door strategy session on Capitol Hill in Washington, Dec. 5, 2017. Republican lawmakers are preparing plans to restructure America’s welfare system, including putting new limits on who’s eligible for anti-poverty programs such as food stamps and housing benefits. The details of the planned overhaul are still being determined, but congressional Republicans have already introduced policy proposals that would impose new work requirements on some of America’s welfare programs. 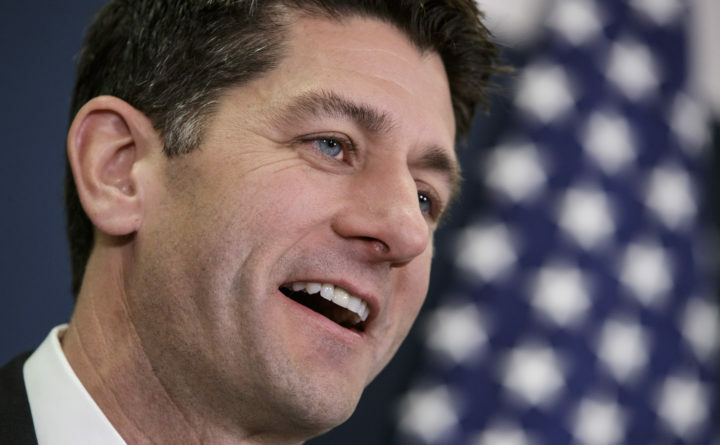 Last year, House Ways and Means Committee Chairman Kevin Brady, R-Texas, and House Speaker Paul Ryan, R-Wisconsin, unveiled a poverty plan as part of Ryan’s “A Better Way” agenda, which also called for the imposition of new work requirements. The plans at the time were largely markers of future intention, signaling the party’s vision but not indicative of an imminent push for legislative action. Now, as they enter the final stages of completing an overhaul of the U.S. tax code, GOP leaders are suggesting that push is on the way. Another proposal likely to be widely discussed is a bill introduced in June by Sen. Mike Lee, R-Utah, and Rep. Jim Jordan, R-Ohio, that puts new work requirements on food stamp and direct welfare beneficiaries. The Lee-Jordan bill would also cut federal responsibility for paying for federal housing assistance and call on the states to provide half of the program’s funding within 10 years. A spokesman for Ryan said that the party would decide its next big priority at its policy retreat in January. On Tuesday, the Wall Street Journal reported White House officials have prepared an executive order that would set principles for congressional-led welfare overhaul, as well as issue instructions for federal agencies to enact new welfare regulations. “We’re looking very strongly at welfare reform, and that’ll all take place right after taxes, very soon, very shortly after taxes,” President Donald Trump said at the White House in November, one of several times recently he has suggested a coming attempt to change the social safety net. In March, Trump released a 2018 budget proposal that would have cut $610 billion from Medicaid, the health program that primarily covers poor Americans, as well as hundreds of billions of dollars in welfare cuts. Republicans face significant challenges in changing the social safety net, especially ahead of the 2018 midterm election season, when Democrats will attempt to capitalize on Trump’s current low approval ratings to take back power in Congress. The party has also only a slim majority in the Senate, meaning it would have to unite the party’s most moderate and conservative members behind a single plan. Such ideological divisions partly sunk multiple efforts to repeal large parts of the Affordable Care Act. Democrats ridiculed Republicans for targeting the safety net for the poor so soon after passing a tax bill that several nonpartisan analyses found gives its overwhelming benefits to the rich. Republicans are most likely to try changing food stamps, the earned income tax credit and disability payments made through Social Security, according to Brian Riedl, a senior fellow at the Manhattan Institute. But Ziliak, of the University of Kentucky, disagreed, noting that food stamp enrollment has fallen from 47.4 million beneficiaries in October 2013 to 41 million this year.